Hakodate may be small by Japanese standards, but it has an extremely interesting and varied history. Although Hakodate is the third biggest city in Hokkaido, it was the first city the Japanese built there as they moved up from Honshu island. The area surrounding the harbour (in the below shot) is the point where the Japanese first landed, and began once again (as in Honshu) to displace the previous inhabitants, the Ainu. Hakodate is also one of two cities (the other city being Shimoda) that were opened up to trade with the Americans after Commodore Perry and his famous Black Ships forced Japan to end its period of seclusion. Because of this, Hakodate, along with a few other Japanese cities such as Nagasaki and Yokohama, have an interesting mix of Western and Japanese achitecture and a pleasing international flavour. 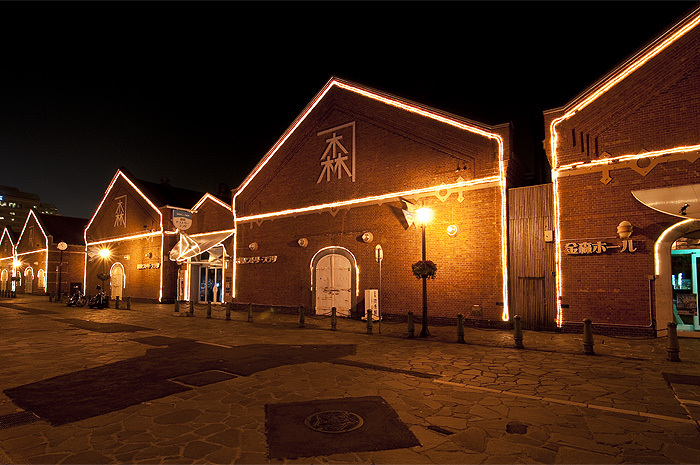 The red brick Kanemori warehouses of Hakodate bear a strong resemblance to the 'Akarenga Souko' in Yokohama. 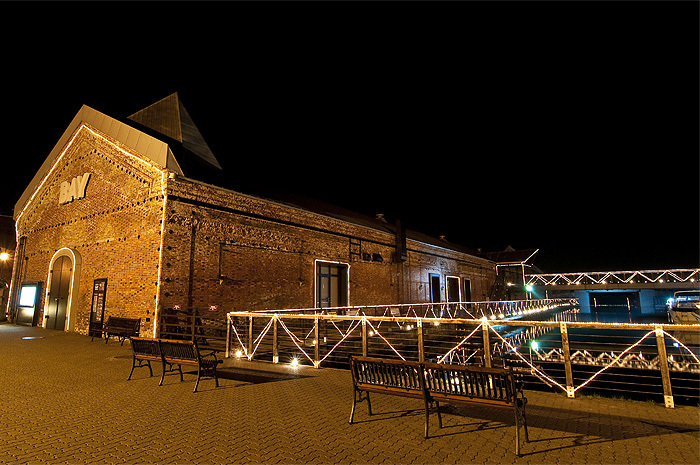 In both cases they have been transformed into souvenir shops and restaurants. At night, they're lit up and look particularly striking. 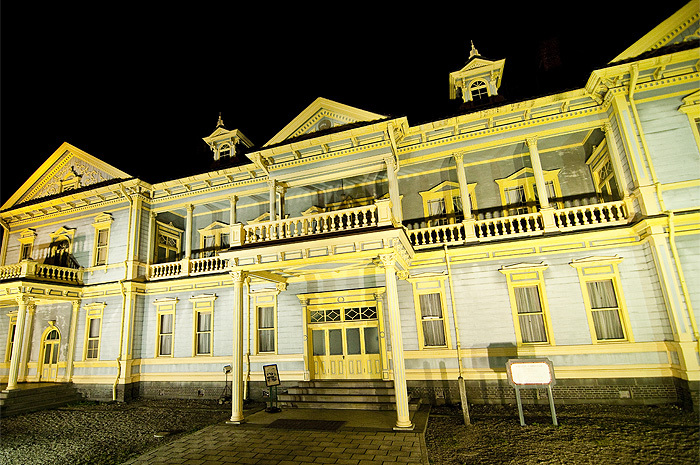 One of Hakodate's many colonial style buildings, the Old Public Hall. Why shoot all these places at night you might ask? 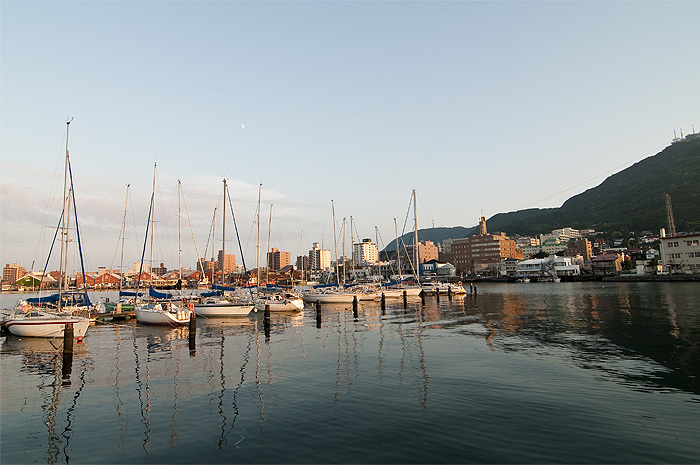 Hakodate is popular tourist destination, not only for Japanese, but for Chinese and Koreans as well. If you come on a weekday night though, around 9pm, you'll have the whole downtown area almost to yourself. Another reason is that shooting photos in the daytime gives you the everyday, regular view. Shooting at night is just more original, and interesting. But that doesn't mean shoot only at night! The Russian Orthodox Church (below). 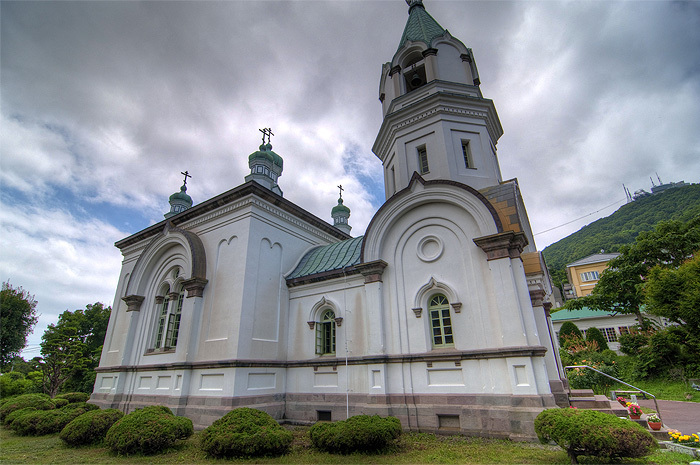 Hakodate once had a strong Russian influence, and there is even a Russian university nearby. 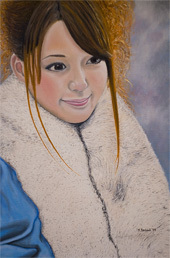 You won't find very many Russians in Hakodate these days however, nor will you find many people studying Russian. Other good points of Hakodate include: great fruit, vegetables and seafood, friendly people, a small population, the fact that most of its tourist attractions are within walking distance of each other, and perhaps best of all, unlike the rest of Japan, Hakodate (and Hokkaido) has no rainy season. 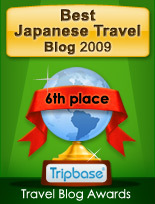 Come up in June or July and take a break from Tokyo's muggy humidity.